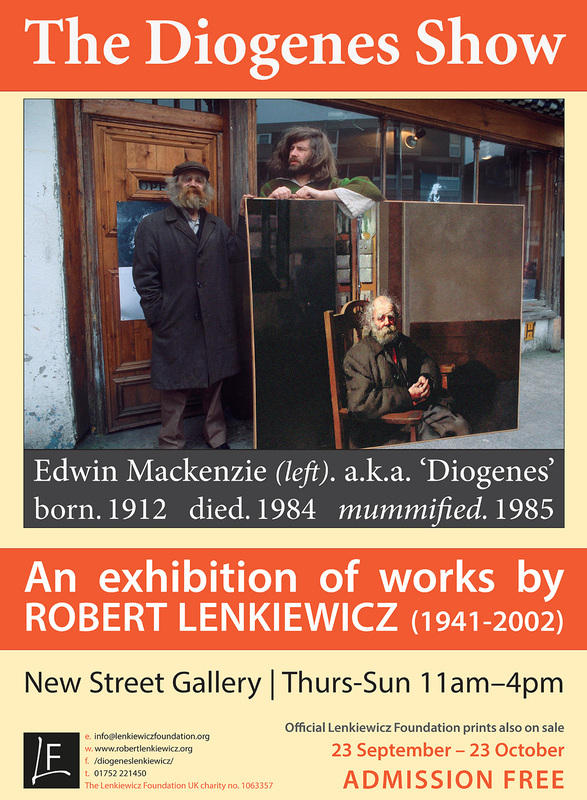 The Diogenes Show marks the 40th anniversary of their collaboration in The Masterpiece Museum & The Diogenes Con Show, Lenkiewicz’ ironic look at art and commerce. For practical reasons the expertly embalmed remains of Diogenes cannot make a personal appearance as the ultimate memento mori (‘remember, you will die’) at this venue. However, it is hoped that new technologies – and traditional methods like body-casts – will blur the line between art and artefact. A number of original studies by Lenkiewicz of his friend, together with photographs, newspaper clippings and a specially commissioned film, show the vagrant as he was before ‘vacating the premises’, as Lenkiewicz would say. The exhibition will be open between 23 September and 23 October 2016.